Artá is a municipality located in the northeast of Mallorca, belonging to the Comarca de Llevant. 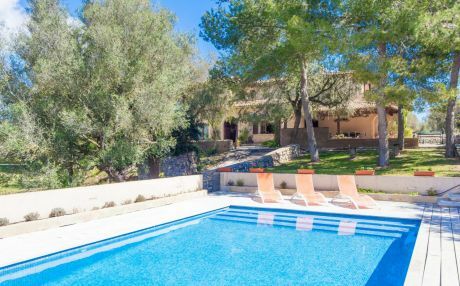 It is 68 kilometers from Palma and 20 from Manacor, and has an area of about 140 square kilometers. Artá offers us an amazing landscape diversity, from its unspoiled beaches to the mountains of Parque Natural de Llevant, featuring large areas of cultivated land, for example almond plantations, which create prints of great beauty. As we already mentioned, the great attraction of Artá are their idyllic and unspoilt beaches, which will captivate us with their white sand and crystal clear waters. Among them, we highlight Playa de Es Matzoc, located about 10 kilometers from the center of Artá, which can be accessed from Cala Torta, boarding the coast for half an hour through the Camino de los Carabineros. You will start your beach day with a good ride enjoying the spectacular views of the city coastline. If after sunbathing and a taking bath in these calm waters you want to continue your walk, we recommend visiting the defense tower of the eighteenth century, known as Torre de Albarca, which still holds a cannon of that era. Another good example is Iglesia Parroquial de la Transfiguración del Señor, of neo-Gothic style and with a total of fourteen chapels inside dedicated to different saints. Also, in this church, it deserves to be highlighted the organ of the nineteenth century. Artá offers its visitors a large number of restaurants where they can taste the best dishes of the Majorcan food. If you love meat, you have to know that their best specialties are pork dishes, like the frito de matanzas, prepared with liver and fried pork tenderloin with peppers, potatoes and garlic. Also are noteworthy its sausages, such as the butifarra or the famous sobrasada, which can be eaten spread on bread. If, however, you prefer fish, you must not forget that you are on an island in the Mediterranean, so fish and seafood is fresh and of high quality. You can start with a small seafood platter starter and continue with a seafood paella and a cup of white wine, or taste something more typical of the area, such as the a recipe in which the fish is marinated with paprika, lemon and oil and then baked with potatoes, spinach, garlic, raisins and pine nuts. For most visitors, the great appeal of Artá is that although its city center is largely populated, its coastline, with a length of about twenty kilometers, retains its natural character and remains outside the urbanization. This allows us to enjoy several unspoiled coves and the possibility to contemplate other landscapes such as the Formación Dunar de Sa Casanova, stretching for about two kilometers. Children love summer holidays to have fun at the beach, and between all the beaches in Artá, we recommend going to Cala Torta. With a length of one hundred fifty meters, there is plenty of room for your children to let their imagination fly while playing with sandcastles or flying their kites thanks to the gentle Mediterranean breeze. 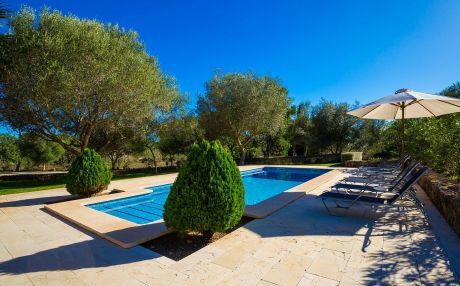 Another option to enjoy with your children is renting some bikes and go to the greenway that connects this town with Manacor. Although the total length of the route is 29 kilometers, it features six rest areas with tables and benches, so you can stop at various points when children are tired and continue the journey when you see fit. You can even rent bicycles and keep them in your rental apartment to use them whenever you want. The first step to have a good vacation sart is to know the path to follow to reach Artá. Whether you want to go by ship or plane, your starting point is the city of Palma de Mallorca. Once there, you must decide if you want to use the public transportation or a rental vehicle. In you travel by bus, go to the Intermodal Station and look for the bus 411, which will take you to your destination in just over an hour. If you decide to rent a vehicle, take the Ma-15 road until you find the turnoff. In addition, this road passes through Manacor, so if you want you can make a stop to visit this famous city. 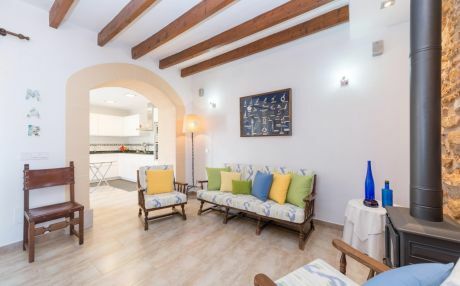 Surely you have decided to spend your holiday in Artá looking for an atmosphere of tranquility and comfort that will allow you to relax and forget about the world, and an important part of that feeling lies in the quality of your rental apartment. If you want a decent kind of holiday, in TripKay we make sure to get the apartment that will provide the comfort and well-being you deserve at a great price. We work with major providers to get the best rental apartments for each of our clients. Do not hesitate when choosing your apartment: TripKay is your best choice.